It appears that the radical fringe in American politics has self-differentiated into wingnuts and moonbats. That is, these are the epithets being used to describe them, usually by them, along ideological lines. In case you don’t know, wingnuts are conservative and moobats are liberal, but each is crazy, if the other is to be believed. 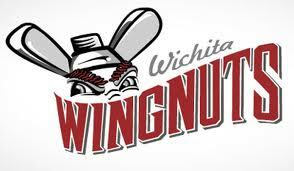 Wingnuts are nuts, obviously, as well as politically aligned to the right-wing. The term echoes dingbat, which brings us on to moonbat. 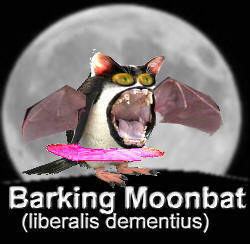 Moonbats are also engaged in silliness (like dingbats), but etymologically they’re lunatics (of the loony left), and batshit crazy to boot. Nice how bat picks up the moon/loon/lun- theme and turns it in a new direction. Merriam Webster online has wing nut as slang for “a mentally deranged person … one who advocates extreme measures or changes” but no usage history, and the OED entry (s.v. wing) has none of these connotations. So did wingnut (or wing nut, or wing-nut) already mean wacko before it was applied to the radical right, as the MW definition implies, or has it always been mainly associated with that particularly political kind of wackiness? Hard to tell. One hypothesis could be that “right wing nut” was already a fixed idiom when it was shortened to “wing nut,” or at least that “nut” was more closely associated with the radical right than with the radical left. That’s the assumption MYL made in 2008 when he discussed the term. Lexis-Nexis has 413 instances of “right wing nut”, going back to a quote in a 1981 NYT article, which strongly implies that the phrase already had some currency then: ‘It’s always nice to back among fellow right-wing nuts,” [22/08/81 s.1 p.7]. But Lexis has 514 hits for “left wing nut”, going back to 1980: ‘The Democratic Party needs Tom Metzger. They’ve been appealing to left-wing nuts’ [AP 5/11/80]. So the two sources are clearly pointing in different directions. What to make of it? Until we get a decent account of Google Books generic distribution over time, it will be very hard to draw reliable conclusions, I think. As MYL says, “wingnut might in principle also have been derived by ellipsis of “left-“, but I’ve never seen either form used that way.” Neither have I – and while this doesn’t preclude the derivation from “right-wing nut”, it also keeps open the possibility that the terms is in fact just an restriction of “crazy extremist” wingnut, à la MW.com definition, to a class of crazy extremists. So maybe it is originally a Torontoism, or a Starism. Anyhow, by the time William Safire wrote about wingnut and moonbat in the American context in 2006 [NYT, 3/4/06], several sources, mainly in the early blogosphere, were claiming that wingnut was a put-down properly reserved for the right, and moonbat for the left. Safire wanted to know where moonbat came from, and came up with a series of sources, the most likely of which was a “libertarian blog” called samizdata.net, run by a guy called Perry de Havilland, who claimed (to Safire) that he invented the word as a general term of abuse for political lunacy of any denomination. The Safire piece lists a bunch of earlier coinings of the same word, which seem to me anyway to be independent. The Japanese clothing company of that name, active in the 80s and 90s, also seems unrelated [excepting a strange convergence in the opus of Howie Carr]. The Wiki also notes that the American conservative columnist and talk radio host Howie Carr once mentioned the Japanese company in an early article, and later became a happy hurler of moonbats at his political enemies. 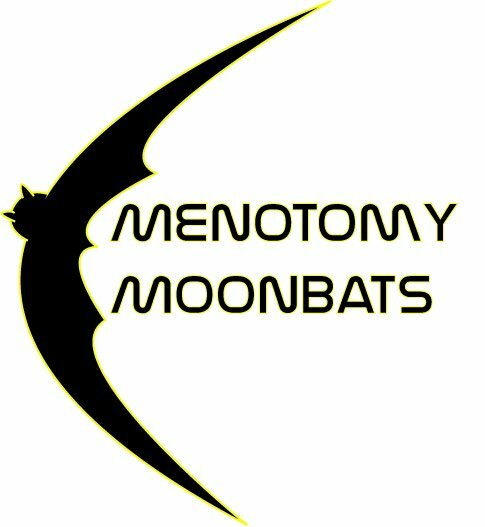 So in this case moonbat is, among other things, a sort of metonomy for Menotomy. Or at least for Menotomians. 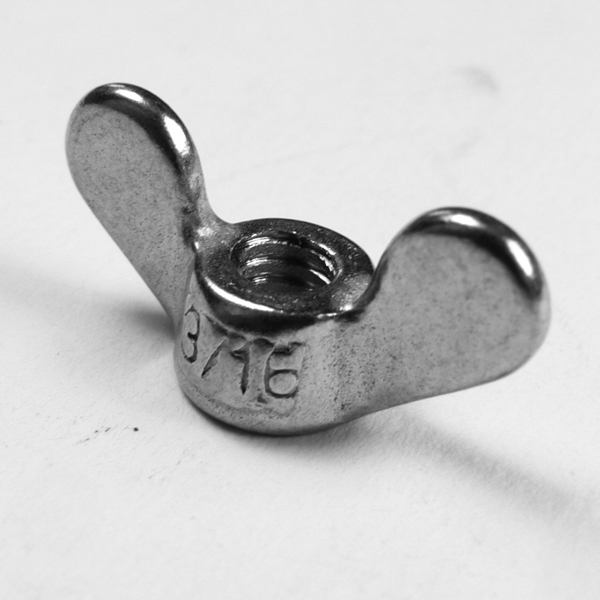 What is wingnut a metonomy for? Easy: Wichitans.